ParkHouston believes parking should be safe and convenient. By following these tips, you can park safely and avoid a parking citation. Read signs carefully. 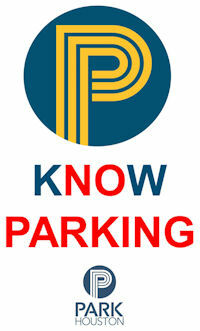 When you park, check the signs on the block to become familiar with the parking regulations. Take a refresher course and review the Texas Transportation Code parking regulations. Signs are not required to be posted for these regulations. Know the mobility lane hours. To help get commuters in and out of downtown, several blocks become tow-away zones during commute hours. Check the signs carefully to know the hours of these restrictions. Commercial Zones are for commercial vehicles only. Only a commercial vehicle (with company logos displayed) can park in marked commercial vehicle loading zones. Check carefully for the signs and/or red meters. Know the time limit. Check the signs, your receipt or the pay station for the time limit for the block. After the time limit expires, you must move your car to another block. Downtown Hopper Pass. The Hopper pass allows you to park at multiple blocks throughout downtown. Your time on the block cannot exceed the posted time limit for the block. Try the ParkHouston app. You can start your parking session from the convenience of your mobile device. You can also receive an alert before your time expires; helping you to avoid a parking citation. Visit https://www.houstontx.gov/parking/meters.html for more information. Check your parking knowledge and see if you really Know Parking. 1. If a vehicle is parked in your driveway, it’s legal to block the sidewalk. 2. How far are you required to park from a fire hydrant? 3. There is an intersection ahead; how far from it should you park? 4. A car is parked 10 feet from a stop sign. Is it legally parked? 5. If a car is parked less than 18” from the curb, it does not matter which direction it is facing. 6. If the car can still get out, you can park at the curve or apron part of a driveway. Let us help parking make sense for your neighborhood. Our Street Smarts (.pdf, updated November 2018) presentation provides an overview of parking safety for neighborhoods. Schedule your presentation today!